These gourmet brownies have no dry edges; they go straight to the soft, gooey, and delicious center. 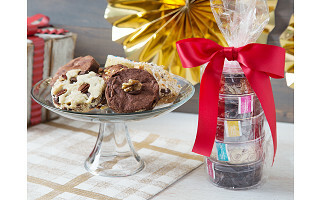 Sugardaddy's are a gift- and palate-ready dessert made with the same loving care as your favorite homemade recipe . . . except it’s not made by grandma, but a reputable chef. 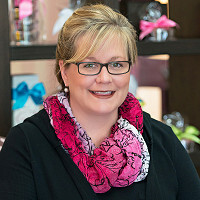 Maker Lisa Anglim joined forces with executive chef Martin Moran to create couture treats. They’re prepped in small batches using all-natural, melt-in-your-mouth ingredients here in the USA—with chocolate from Belgium, eggs and butter from local Ohio farms, and spices from the around the world. Whether it’s a gourmet take on your traditional triple chocolate brownie or a more exotic cinnamon blondie recipe with with nutmeg, ginger, and fine vanilla extract—it’s hard not to indulge in these exquisite treats. Hello, I am so excited to introduce you to Sugardaddy's brownies and blondies. We hand make them with all-natural ingredients just like when I baked with my Mom growing up. My company is a combination of my dream of being an entrepreneur and my passion for baking. We have put together a collection of our most popular flavors and I hope you can taste the love baked into each one. @James Each brownie is two servings, and hand made all natural ingredients. @Lisa I agree with James. Im sure they are good, however as a baker myself that's a little high priced for brownies. To date, how many have you sold? Hi Lenora, this isn't really the place for the disclosure of sales information. As Lisa said, each brownie is handmade with local, all-natural ingredients and in terms of serving size, is actually two brownies. These gourmet brownies have no dry edges; they go straight to the soft, gooey, and delicious center. 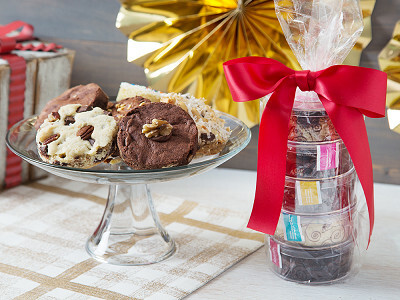 Sugardaddy's are a gift- and palate-ready dessert made with the same loving care as your favorite homemade recipe . . . except it’s not made by grandma, but a reputable chef. Maker Lisa Anglim joined forces with executive chef Martin Moran to create couture treats. They’re prepped in small batches using all-natural, melt-in-your-mouth ingredients here in the USA—with chocolate from Belgium, eggs and butter from local Ohio farms, and spices from the around the world.